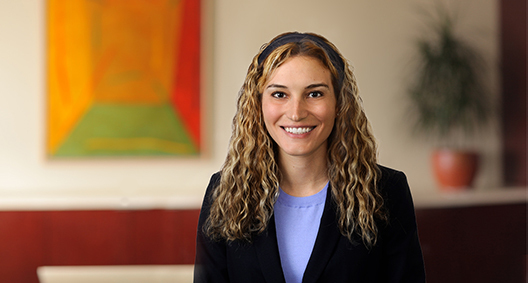 Ashley Thompson focuses her practice on tax and estate tax planning for high net-worth individuals. She designs and implements comprehensive estate plans and business succession techniques, while minimizing estate, gift and income tax consequences. Clients value Ashley's ability to break down complicated tax issues into manageable and understandable concepts. Ashley was an adjunct professor at the University of Denver Graduate Tax Program, and was recognized as a Colorado Super Lawyer "Rising Star" in tax and estate planning (2017 and 2018). Represented high net-worth individuals and families and advised them in their estate planning, business succession planning and charitable giving. Provided advice regarding trust design and implementation. Utilized trusts, including gift trusts and irrevocable trusts, to maximize transfer tax planning. Advised a partnership between trusts and entities on current and liquidating distributions of marketable securities and the exceptions to recognition of tax. Applied for a private letter ruling from the IRS. Instructed a client on the viability of a partnership merger where assets included real estate and marketable securities. Analyzed the attribution rules to effectuate a corporate redemption of the shares of stock in an estate administration. Drafted operating agreements and advised on income tax and transfer tax provisions. Provided advice about estate tax, gift tax, generation-skipping transfer tax and income tax. Applied for and obtained tax-exempt rulings for private foundations and public charities, including a non-functionally integrated Type III supporting organization. Represent clients in IRS audits and U.S. Tax Court litigation for complex income, gift and estate tax matters. Tax law instructor for the Adopt-A-Base program through the American Bar Association. Taught tax law for the volunteers to prepare free tax returns for members of the Armed Forces. Assisted a veteran in an appeal to the U.S. Court of Veterans' Claims for denial of benefits for service-connected injuries.